Natural Health News — Superbugs – bacteria that have evolved to resist widely used antibiotics – pose an “alarming” threat to public and animal welfare in Europe, according to a new report. The warning comes from the European Centre for Disease Prevention and Control (ECDC) and the European Food Safety Authority (EFSA) and shows high levels of antimicrobial resistance in bacteria found in humans, animals, and food across Europe. In particular the scientists point to “extremely high” multidrug resistance in a type of Salmonella that causes illness in humans. The summary report is based on data on antimicrobial resistance several types of bacteria submitted by 28 European Union (EU) member states in 2015 and jointly analysed by scientists from the ECDC and the EFSA. It provides an overview of resistance in Salmonella isolates from humans, food-producing animals (pigs and calves), and their meat. It also includes Campylobacter isolates from humans and pigs; and Escherichia coli isolates from pigs, calves, and their meat. Data on the incidence of methicillin-resistant Staphylococcus aureus (MRSA) in pigs, calves, and their meat are also included. 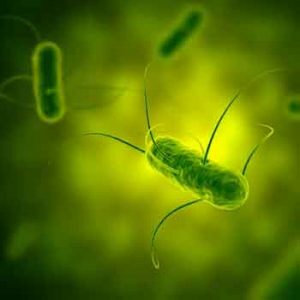 Salmonella, Campylobacter, and E coli are all examples of what are called ‘zoonotic bacteria’, which can be transferred from animals to humans via contaminated food or through the environment. The report makes grim reading. » A new report by European authorities shows that superbug bacteria found in people, animals and food pose an “alarming” threat to public and animal health. » Drug resistance in bacteria is driven by the misuse and overuse of antibiotics – particularly in livestock – which encourages bacteria to evolve new ways of surviving when exposed to antibiotics. » The scientists say they were particularly alarmed at the high levels of resistance found in Salmonella and Campylobacter – both important causes of human illness. Overall, multidrug resistance (MDR) was found in 29.3% of the human Salmonella isolates submitted by EU member states, with high proportions of isolates resistant to sulfonamides (32.1%), tetracyclines (28.1%), and ampicillin (27.8%). One of the most common types of Salmonella species in humans, monophasic Salmonella typhimurium, exhibited extremely high MDR (81%), with several samples exhibiting resistance to at least 7 antimicrobials. The report also found high levels of resistance in Campylobacter bacteria – the most commonly reported cause of foodborne disease in the EU – isolated from humans. In 11 EU countries 80-100% of Campylobacter bacteria was resistant to ciprofloxacin – considered a critically important antibiotics to fight Campylobacter infection. Five other 5 EU countries reported alarming trends of fluoroquinolone resistance. “The level of acquired resistance to fluoroquinolones is so high in some member states that this agent can no longer be considered appropriate for routine empirical treatment of human campylobacter infection,” the authors write. The results of studies in animals and meat were also disturbing. Among the Salmonella isolated from pork, the highest levels of resistance were reported for ampicillin (44.7%), sulfamethoxazole (48.5%), and tetracyclines (49.1%). In isolates from beef, resistance to most antimicrobials tested was mainly lower than those observed in pig meat, but levels of resistance to sulfamethoxazole and tetracyclines were higher. In Campylobacter coli isolated from pigs, overall resistance was very high for ciprofloxacin (62.1%), nalidixic acid (60.8%), and tetracycline (66.6%), and high for erythromycin (21.6%). For E coli in pigs, high levels of resistance were found to tetracyclines (54.7%), sulfamethoxazole (44.2%), ampicillin (39.3%), and trimethoprim (35.3%), with 38.1% of samples displaying MDR. Resistant E coli was also found in calves but at a lower level than seen in pigs. “The high levels of resistance to tetracyclines, sulfamethoxazole, ampicillin and trimethoprim in E. coli from both fattening pigs and calves under one year of age, as well as the frequent occurrence of resistance to these compounds as a core component of MDR patterns in many reporting countries, reflects extensive usage of these antimicrobials in these countries over many years,” the authors write. MRSA was reported in pigs and calves in several member states, but resistance to vancomycin and linezolid was not detected in any isolates. Antimicrobial-resistant bacteria causes an estimated 25,000 deaths in the EU each year. The findings, while hardly new, suggest that not enough is being done ot tackle the problem. In reviewing the report Marta Hugas, head of EFSA’s biological hazards and contaminants unit, noted geographic variations across the European Union, with countries in northern and western Europe generally having lower resistance levels than those in southern and eastern Europe and said this was most likely due to differences in the level of use and overuse of the medicines. “In countries where actions have been taken to reduce, replace and re-think the use of antimicrobials in animals show lower levels of antimicrobial resistance and decreasing trends,” she said.